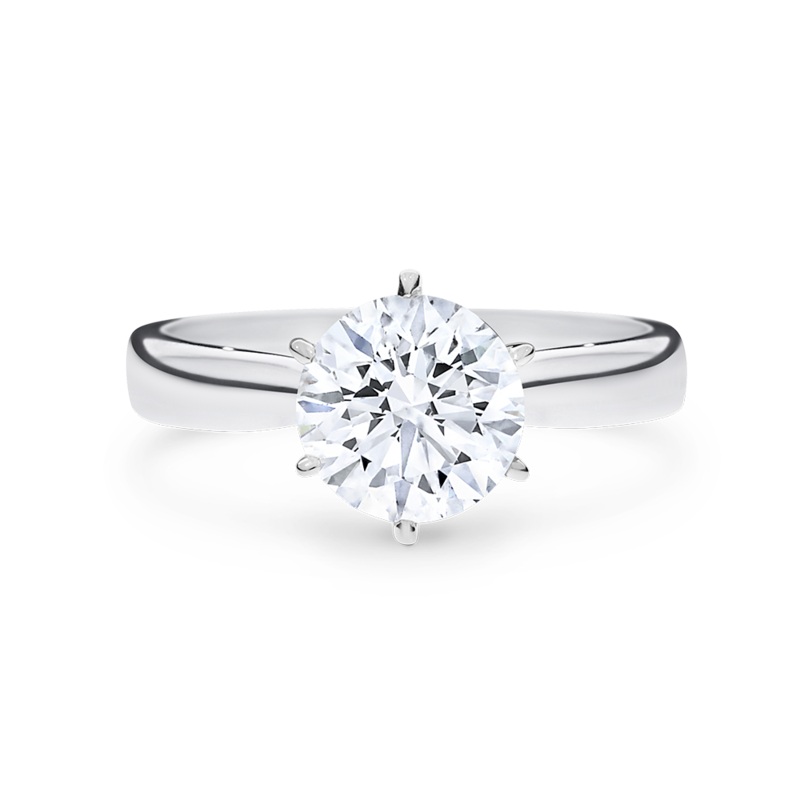 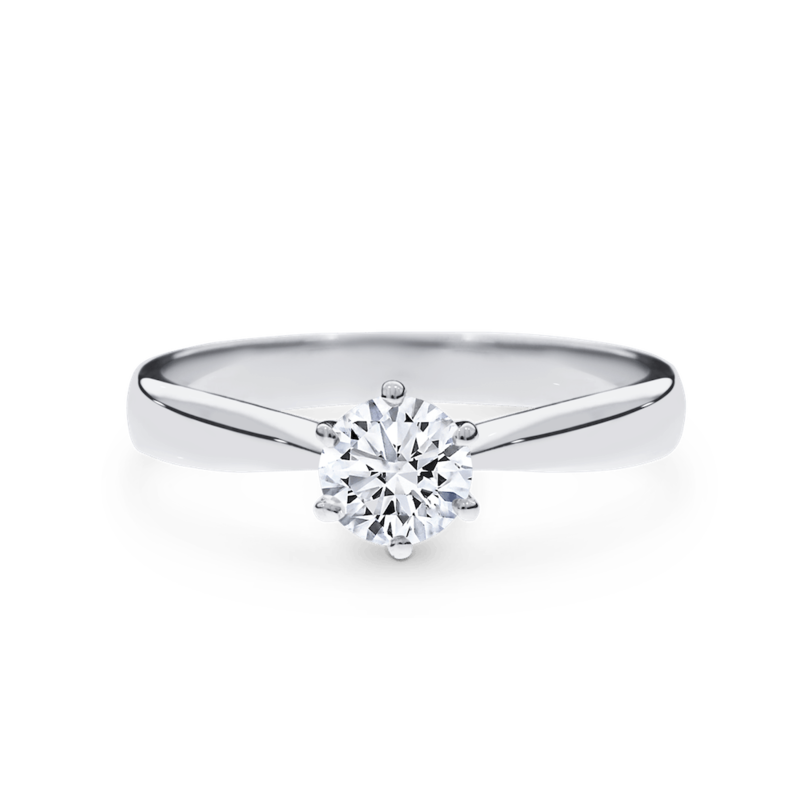 A classic six-claw solitaire set in a tapered band, giving prominence to the centre stone. 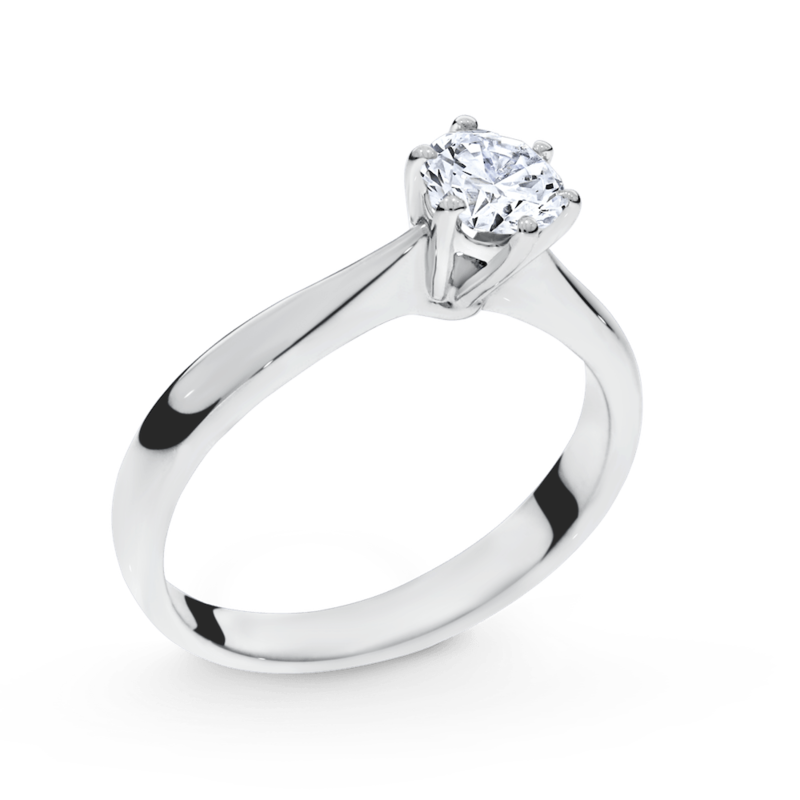 The timeless beauty of the six-claw solitaire has become an ADC signature. 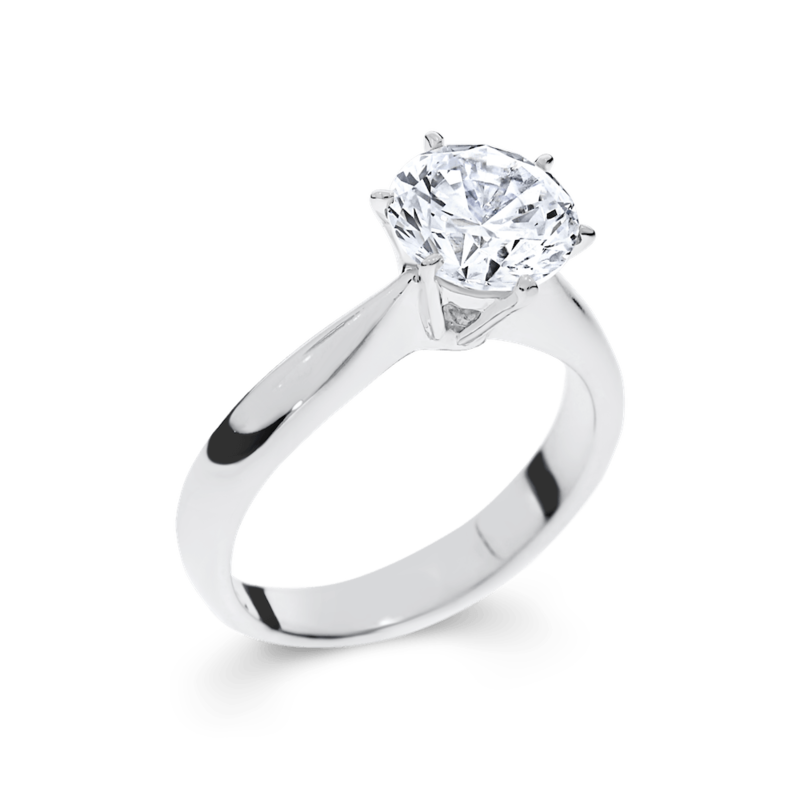 Available in a range of centre stone weights and exclusively with round brilliant cut stones. Available in 18ct white, rose and yellow gold, or 950 platinum.